IRISH WATER IS investigating reports of water supply issues in areas of north Dublin, with complaints of discoloured water coming out of taps. Irish Water confirmed that it had received reports of water supply issues in areas of Dublin central, Glasnevin and Finglas. “Irish Water, in partnership with Dublin City Council, are currently investigating reported water supply issues in these areas,” a spokesperson said. 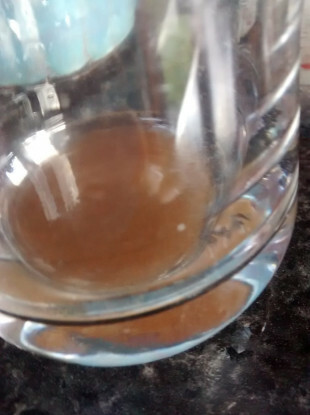 Customers have complained about water coming from the cold tap as brown or orange and full of sediment. Irish Water advised people not to drink discoloured water. “Customers are advised not to drink discoloured water. Irish Water recommend that affected customers leave their tap running to clear any discolouration,” a spokesperson said. People are told to leave their tap running and to not drink the water while it is discoloured. If the water does not return to a clear colour after running the tap for a few minutes, people are advised to contact Irish Water on Callsave 1850 278 278. Email “Irish Water investigating reports of discoloured tap water in areas of north Dublin”. Feedback on “Irish Water investigating reports of discoloured tap water in areas of north Dublin”.